Shaun Murphy had written his name on history of snooker development in South America as he won the first Brazil Masters title by beating Graeme Dott 5-0. 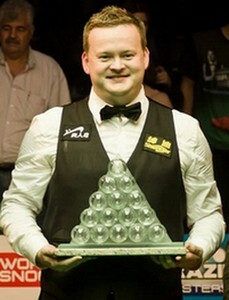 Shaun Murphy won the title convincingly. 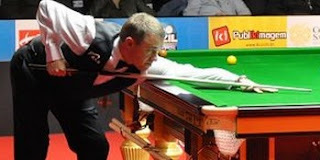 Murphy defeated Stephen Hendry in the semi-finals earlier the day by 5-1. Hendry played well in the tournament because his victory over Ali Carter in quarter-finals boosted his confidence. Hendry took the opening frame with 84 before Murphy made 111 in the following frame. Murphy was holding a 3-1 lead over Hendry before mid session. Murphy got the match point 4-1 by winning the scrappy fifth frame. Vigor of Hendry was gone afterwards and Murphy booked his place in final with 64 in the final frame. It is a pity for Hendry missing the chance to win a title in 5 years. He will be able to find back his confidence and the winning form to help him maintain a better performance in ranking events if he wins it. The next ranking event will be UK Championship in December. If Hendry wants to be seeded in World Championship, he must grab the points to get back to top16 again. 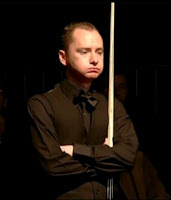 Runner-up Graeme Dott came through from 5-2 win over Peter Ebdon in the semis but he lost 0-5 to Murphy in the final. Dotty was somehow playing poorly in both matches. His highest break today was 38 but still managed to capture a final place. The final started with 81 from Murphy to lead 1-0. Dott missed the final red as well as a good chance to level 1-1. This frame locked his defeat in the final. Murphy took 4-0 advantage with 79 and 52 to go 4-0 up on Dott. Murphy just required one more to win the title. The mid session did not cool down Murphy. Murphy made 139 in the last frame of the tournament to break the highest break record holding by Igor Fugueiredo (114). Shaun Murphy pocketed US $40000 and $2000 for the highest break while Graeme Dott won $20000. Murphy is extremely satisfied with his performance today: "I got better with each match through the tournament, and played my best in the final," "This is a great time for snooker and it's very exciting to be part of it, with so many new formats and new locations." 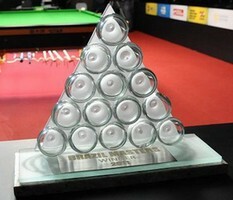 I am happy to see the first ever professional snooker tournament held in South America although it is not a ranking one. I love the Brazilian fans. They are polite and enthusiastic. I would not describe Brazil Masters is a big success but the development is forging. The promoters may need to work on the marketing of the event. There were not too much audience in the venue despite of the day for the final. Brazil Masters has room to improve as it is the first year to be held. Now every player escpecially the top 16 players have a busy scheulde like Murphy. We have weekly tournament in Septemeber - Shanghai last week, invitational Brazil and 2 PTCs next weeks. Additionally Murphy is playing on the week 3 of Premier League this Thursday against Ding Junhui. 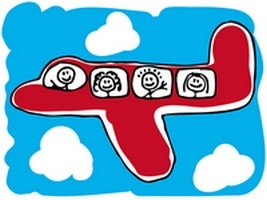 You can see how busy the professionals are, flying from one place to another. Indeed it is duty of players. :-) Good luck to Big Shaun.